We cannot stress enough how important it is to create and maintain a sensible backup schedule for both you Operating System and your Audio/Video Data so stop whatever you are doing today and take some time out to make yourself safe and avoid the facepalm moment of when your system goes down. 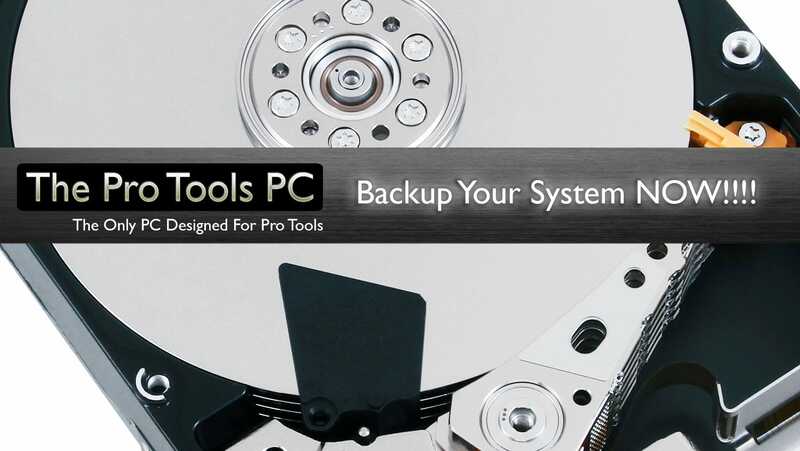 System failure can come in many forms, most often it’s either hard drive failure or OS corruption, both of which can be dealt with very quickly by creating an externally stored OS backup. In the event of the worst actually happening you can restore you system back to a working state within a matter of minutes and minimalise any studio downtime and session interruption. So here’s those walkthrough videos, watch them and make them a reality today and be safe in the event of a problem. Posted in Discussion, Education, Free Support, System Maintenance, Tech Support, Technical Article, Tutorials and tagged backup, maintenance, Operating System, restore, Security. ← Are Plug-Ins Like Pokemon?